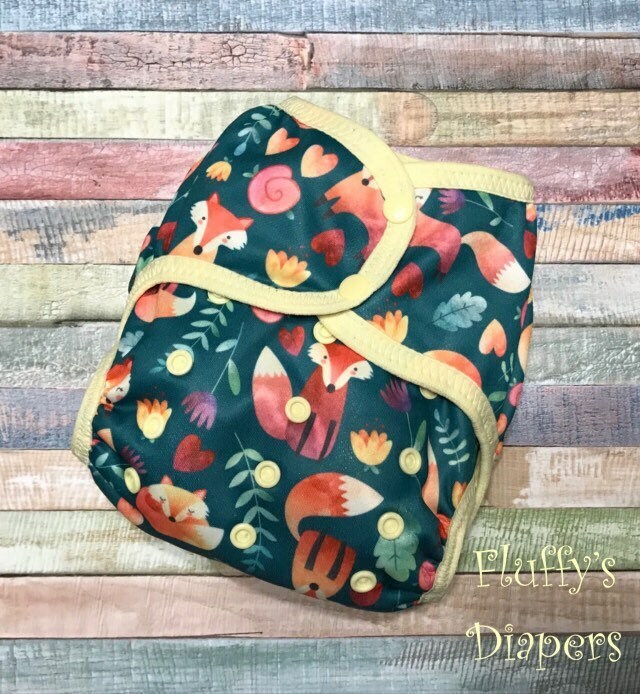 Your little one will look adorable in this fabulous OS Foxy AI2 cloth diaper. This has a poly outer backed with a fully wipeable pul inner. The snap in snake style soaker is 3 layers of hemp/organic cotton fleece topped with cotton velour. Also includes an additional lay in booster made from 3 layers of hemp fleece topped with cotton velour.